It’s somewhat ironic that Proteus – a calm and soothing Indie game based on exploration – releases on the same week as action-orientated blockbusters Battlefield 4 and Assassin’s Creed 4: Black Flag. But this is the way with Indie games and their developers as they move away from the tried-and-tested videogame mold, and strive to give us something different. Proteus hits the mark for being different all right, and in fact developers Ed Keys and David Kanaga should be commended for boldly making a game that is stripped entirely of complications and objectives. However, Proteus‘ strength in simplicity is also where its weakness lies. Just what the hell is Proteus? Twenty minutes in, and didn’t know what it was. It looks fairly similar to Minecraft except there’s no crafting, I thought to myself. Literally just walking. At first you may not get it, but sort of like when you’re first learning to drive and you have that epiphany moment and it just all makes sense all of a sudden. It clicked with me in Proteus; this game is about pure exploration. 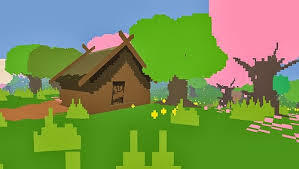 Essentially, yes, you are just walking around; but it’s not the same as just walking around in any other videogame; the experience in Proteus is crafted around your experience of “walking around.” The sky, the sun, the moon, the leaves on the trees will all change as seasons pass, and just like that the world you’re in changes. Proteus sees you walk around from the first-person perspective. There’s no button for defend or attack because there’s nothing to attack or defend from. You walk with the right stick and look with the left. You can sit, too, and watch the world go by if you want. It doesn’t get more simplistic than this, and that’s why Proteus is the perfect sort of game to play after a hard day of work when you can just switch your brain off and walk around as the seasons and the world you’re in changes. Plenty of games drop you into a world and expect you to get to the next point of destination so a cutscene can take place and the story can progress until the game reaches its ending. 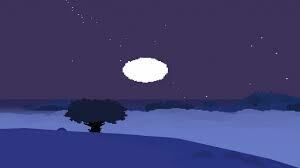 Proteus does have an ending, but every player is going to get to it differently. I’ve played Proteus three times to completion now and all three times I took vastly different journeys and my game ended at completely different times. You stand still, time won’t stand still with you. Who needs a next generation of consoles when we’ve got good old fashioned pixel art? The Playstation 3 version, as expected, is upscaled and is of a higher resolution from the Playstation Vita version. But the good news here, folks, is that Proteus is cross-buy, meaning that you get both the PS Vita and PS3 version for one price of admission. Both look fantastic in their own rights, but I do believe Proteus is one of the best looking games to date on the Playstation Vita. 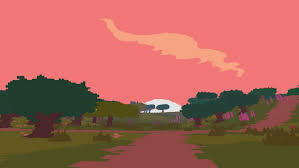 The changing of a season in Proteus is a gaming moment that will stand out to me in time to come thanks to its vibrant colour palette and ambient soundtrack that matches the surroundings. The ending, too, (without spoiling anything) is a feast for the eyes and remains as beautifully ambiguous as the rest of the game. There is no multiplayer mode in Proteus. It’s obvious that it was designed to be a solitary experience, but perhaps an optional multiplayer component akin to Journey‘s (where other players join your world) would’ve worked nicely. The biggest issue many will have with Proteus is that there’s no objective, nothing to interact with and, well, not a lot to do other than to walk around. Although I’ve praised Proteus for having no objectives or buttons of command, the price tag of £10/$12.50 is questionable, considering Proteus can be completed in – roughly, depending how you play – an hour or so. I’m all for short and sweet experiences, but after your first play-through you may feel the price tag is a little too high. The good news though: Proteus‘ world is randomly generated so each time you play should be different, even if the end goal is the same. Proteus is unconventional and so left of field that it’s going to diversify gamers (even more so than usual); you’re either going to get Proteus, or you aren’t. So while most gamers this week may be immersed in military warfare or battles at sea, Proteus offers a nontraditional gaming option for those looking to escape from the real world and be lost and immersed in the ever changing, soothing and ambiguous world. This entry was posted on 05/11/2013 by Scott Barker in Editorials and tagged indie, Proteus, PS Vita, PS3.